As entrepreneurs or business owners, we all need to have graphics done from time to time. Having a professional graphic artist instead of using your own support staff or trying to do it on your own, can be the difference between an amateurish brochure that will end up in the recycle bin or something that really grabs the reader’s interest and is worth keeping. Before you get started, you need to know what you want and how to ask for it. Here are some explanations of terms and techniques that are important to a graphic artist. Don’t worry, there is no test at the end. It’s helpful for everyone to know the terms so you can tell your graphic designer what you want. Let’s start with my pet peeve! Printed images and web images are completely different. Your logo artwork or photo can look amazing on your website, but will print like garbage if it is not the right format. Images for print must be a minimum of 300 dpi (dots per inch). Websites look fine at 72 dpi, but will print looking pixelated and awful. Websites require RGB (red, green, blue) color and printing needs CMYK (cyan, magenta, yellow, black). Color printing is called 4-color process and prints all colors made up of percentages of cyan, magenta, yellow and black inks. Anything that is in your project including text is a graphic element. This includes words, photos and artwork. Author’s alterations are when the client changes the wording rather than correcting an error. Generally those are not included in the quoted price. If you make changes, you will be charged for them. Your copy should be ready to go before you start the graphics. Corrections, however, are always included in the price. Camera ready art is ready to go to the printer without any changes. Your graphic artist should give you camera ready art as the finished product, usually in PDF format for printing. Some printers prefer the original graphics file, but they can be quite cumbersome. You need to discuss with the printer what they require before the graphic artist gets started on the project. I’ve seen people stretch logos or photos to make them fit into the page layout. You never mess with someone’s logo. Make your design fit the logo, not the other way around. The same goes for photos. You can crop and size them in a way to make them fit. Colors should compliment each other and not clash. Bright red on bright blue or green can do crazy things to your eyes and should be avoided. The easiest text to read is black text on light yellow. Generally speaking, soothing colors go with calm subjects and bright colors go with a more vibrant subject matter. If you are unsure about what colors to use for a project, you can always extract colors (there is a tool for that in most software, usually an eye dropper) that match an image or logo. For example, if a logo is purple and yellow, those colors can be used in the text. Please make sure they match perfectly or don’t use them. If they are close, but not exact, it is not pleasing to the eye. You do not have to fill every bit of space with text or artwork. White space is a design element that some people forget is available to them. Negative space is the area around or between the main focus of an image. The World Wildlife Fund logo is a great example of using negative space. You see the entire animal even though your eye has to fill in part of the outline. Image courtesy of World Wildlife Fund. A grid layout is commonly used for things like brochures. Everything is generally at right angles and the end product is pleasing to the eye. If you create something that looks slightly off kilter, it can be irritating to the reader. Too many special effects on one graphic element like feather (edges fade away), drop shadow (shadow behind the object), rotating, outline and inline can be distracting. You can tell by looking if it is too much. Coated or uncoated paper (shiny or not) is another graphic element to your project. Depending upon the project, you may want different paper types (bond, laid, onion skin, etc. ), thickness (card stock, paper, newsprint) or paper colors. Discuss paper choices at the beginning of the job because adjustments may be needed to get the desired effect. For example: Newsprint can only be printed on a web press and most printers do not have room for them. On a web press, the paper is in a giant roll and gets printed on one side or both sides, cut, collated and sometimes stapled as it goes through the press. Most presses do not use paper rolls, but sheets of paper that are cut to size after printing. A bleed is where text or an image goes off the page like on most magazine covers. You need a larger sheet of paper for printing with a bleed. After it is printed, the excess is trimmed away. While the finished product looks better, it usually costs more to print. Some of the best examples of logos are elegant and simple. Think of the Nike swoosh, the NBC stylized peacock or the McDonald’s arches. The same simplicity can work for a brochure or any other graphic piece. Next time we will discuss typography, the text for your project. Choosing the right font (typestyle) is important to the legibility and success of your printed project. Contact Social Squids if you have a graphic design project like a corporate identity package (logo, letterhead, business card), trifold brochure, flyer, ad, newsletter or any other printed piece. No, this is not a post about zombies. Sorry if you thought that! Have you ever had a great idea, but after pondering it for a little while, you are not quite sure if it will fly or not? It happens to me all of the time. I get all excited about some business or plan and then once I think about it for a day or two, I lose my momentum. Instead of letting great ideas fall by the wayside, why not bounce ideas off of another person and see what they think about it? Brainstorming sessions are valuable in business. If you have someone you can trust with your secret business ideas, ask to have lunch, dinner or even coffee with them. Let them hear your idea and come up with ways it might work, or reasons why it won’t. Either way, you should take advantage of this significant resource. The name Social Squids, came from such a meeting. My friend and I got together for coffee and I told her that I needed to come up with a name. She’s an illustrator, very talented and creative in her own right. The starting point was the fact that I like animals, so we decided the name would have something animal-related in it. We brainstormed great name ideas, terrible ones, silly ones and eventually one of us – I’m not even sure which one of us it was – came up with Social Squids. I kept doing this thing with my hands, wiggling my fingers and moving my arms outward. I was thinking about how social media reaches out into cyberspace. Not only did we come up with the name, we came up with the tag line too – We have far-reaching tentacles. Paying someone for their opinion has its value, but brainstorming with one, two or a small group of people, will help you find problems, solutions, more in-depth ideas or sometimes cheer you on for your amazing business proposition. So, find more brains. Bounce ideas off of your friends in the business community. Sometimes these ideas might seem impossible, but give it a try anyway. It can be an incredibly valuable tool for your business. Just be careful you share your ideas with people you trust and who are not going to take your idea and use it for their own. With a Twitter, Facebook, Instagram, Google+, Vine or other social media page to help grow your business, you should take note of what is trending. Try to connect something from the topics to your business. Many times social media is trending. Everyone who has a social media account can relate to that. Other times there are sports figures, politicians, criminals, natural disasters or other current events trending. Anniversaries of big news stories often make the list. 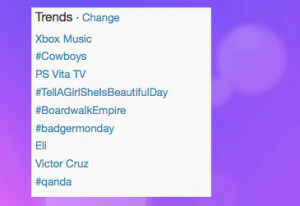 What are trending topics? These are the most popular topics on social media right now. They change, usually many times per day. But the big stories always are on the list. Search engines also list trending topics so you can find them on Bing or Google. By using the hashtag (#) and a trending topic on Twitter, your term becomes searchable. So, if wild fires are trending and you put #wildfires in your post, people who search for that hashtag will find your information. You need to stick to the topic for this to be effective. You can send good wishes to people who are in danger of losing their homes from the wildfires. If you have a product, say smoke detectors, that have a natural connection with the trending topic it works best. You can use that to your advantage and help funnel traffic to your social media pages and your website. Make sure it is a natural fit. If you check trending topics every day, you will find something every now and then that works with your business. You cannot force the issue. It can backfire and result in people making negative comments. Keep posting on your social media pages. Make it a daily habit. 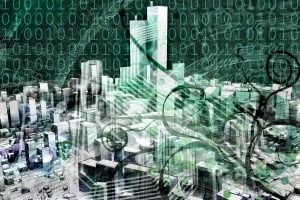 You will find that you gain new followers, likes and connections. Most websites are full of words, but how good is that content? Some sites have SEO (search engine optimization) articles that, while they have all the necessary keywords, the articles either do not make sense or the keywords are over used. The articles seem wordy and walk around the subject, never actually getting to the point. Conversely, sites with interesting, interactive or unique content will grab the attention of the reader and urge them to read more. People return to those sites over and over again. One of the easiest ways to grab attention is to change the information on the site. Of course, that is how blogs work. Hopefully, you update your blog often to keep people coming back. Giving high value content entices people to the site. Content does not have to be words. Everyone loves a good photo or piece of artwork. Add graphics, photos or infographics to your pages, follow up by using Instagram and Pinterest to promote them. You will see more activity on your page. By using Google Analytics, you can see what social media works for you and what does not. Just add the code to your website and you can start using this tool free of charge. If you use Blogger for your blog, there is a built-in Blogger version of Analytics that is already in use. You can find it in the “overview” section and it is called “stats.” If you use social media, you really need to make sure it is working and if not, change what you are doing. Have you purchased anything that needs to be assembled lately? If so, you might have noticed that many things do not have words in their instructions. It’s all symbols and drawing. Maybe it is because the products are sold all over the world, but I wonder if it is not something else. It seems that today, sharing drawings, photos and videos is becoming just as important as sharing the written word. Choosing a way to share your photos has become a competitive industry. There are many from which to choose: Hipstamatic, Pinterest, Instagram or a host of other apps that allow people to share their smart phone photos with the world. They are all easy to use, for the most part. 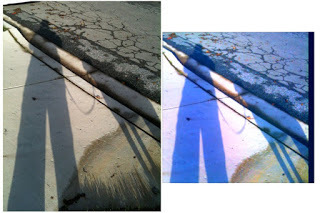 Unedited on left, edited version on right. Hipstamatic wants people to find that artist within themselves. Pinterest seems to concentrate on style and fashion. Instagram became popular as a way to share food photos. Millions of people are using them, deciding which one(s) to use is a dilemma. It seems like just when I get used to using something, it falls out of favor and another has come to take its place. At the same time, I do not want to neglect the people I have already made a connection with. I end up dividing my time and photos among various photo sharing options. Most of the photo sharing apps will allow the user to edit, crop and change the lighting. Many can make the photo look old-timey, artsy or have some special effect that makes a poor quality photo appear like the photographer did it on purpose (always good for my sad photography skills). Photos can be imported from the phone’s camera roll or taken through the app, manipulated and then exported to other social media sites. It is a way for people to share photos of every aspect of their lives, which seems to be important these days. Unedited on the left, edited version on the right. And, 300 words in, I get to the point. You can drive prospective clients to your website, blog or other page with your amazing photos. Allow people to get to know your brand. Use descriptions with hashtags making your photos searchable. Follow people who are in your target audience. They just might follow back. You can add text to the actual photo in some apps. Add your website. 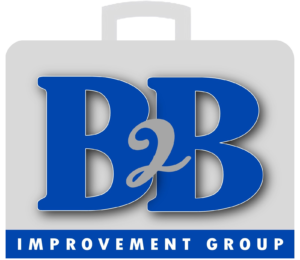 Give the people a way to find your business. People are making money using these apps by funneling business to their more serious website, Facebook page, Twitter page, Google+ or blog. Take some photos and give it a try. Who doesn’t like taking pictures? I took about 20 photos while walking my dog the other way to give a new app a try (see above). It is a fun way to get your message to the masses and grow your business. 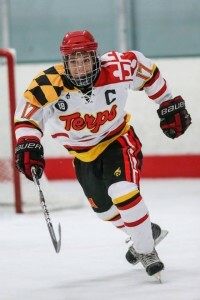 My nephew Jake plays ice hockey for the University of Maryland (Go Terps!) and because it is a club team, they do not have good attendance or recognition for their efforts. Don’t get me wrong, they play as hard as any hockey players. The games are certainly not televised and the webcasts are not the greatest. They have a website and Facebook page and at one time there was a Twitter page, but it did not have a lot of activity. I believe the wifi is not very strong at the arena. Using a webcam for a wide shot of an entire ice rink is not the best way to shoot a sporting event. But, they use social media to their advantage with the home games webcast from the arena. They basically use a laptop webcam and broadcast on LiveStream, a website that shows webcasts. Isn’t that a great idea? Why not broadcast your events? Grow your business through webinars. If you use Google+, you can create a hangout where up to ten people can have a live video conference call and millions more can watch. And it’s all FREE! What if you gave a webinar about your business and had people from all over the world watch, some can ask questions (the ones who are on the conference call). No fancy equipment is necessary. Really, all you need is a laptop with a camera and an internet connection. If you have headphones with a microphone you can get fairly good sound. Plop a vase of flowers on a desk to gussy it up a bit, and aim the webcam at your face – you’re ready to go! Maybe put a few notes in front of you, but you know about your business. You don’t really need a lot written materials, just enough to keep you on topic – and you don’t want to read from a script. If you announce and promote the event on your website, blog, email and through social media, put it in your newsletter or ezine – any way you want, you will get results. Encourage people to send questions in advance so that you have time to prepare great answers. Be sure to offer this complimentary webcast to your ideal clients. Give them good information, stuff they can use. Encourage them to hire you at the end of the talk. As you are prepare for your webinar, take a break now and then and watch or listen to a Terps ice hockey game! On the Today Show this morning, Twitter unveiled their new page layout and upgrade. After much hoopla, it doesn’t really seem all that much different. The big difference is really on the ipad app. So, thumbs up or thumbs down? The home page looks the same. It is only when you look at your profile in the new design, that it has a much new look. Similar to the much maligned Timeline on Facebook, there is a smaller photo in the middle with a larger photo behind it. While Facebook put the little photo to the side, Twitter has located the photo smack dab in the middle of the larger one. If you know anything about photography, or design in general, you usually put your subject matter in the general vicinity of the center. Of course, more artsy people might disagree that the subject matter could go to the side of the photo. What I’m trying to say is that, at least for me, it was very difficult to pick a photo where my smaller photo didn’t cover the face in the picture. After a lengthy search for the right photo, I went with a picture of my dog. I wasn’t thinking about the placement of the smaller photo because. I actually laughed out loud when I saw that the smaller photo was right on top of his face. I tried some trees, some other animal photos and I ended up with the same photo I am using on my Facebook page. So much for being creative. I’ll have to take some new photos with the subject matter around the edges of the picture. As someone who likes to keep updated wherever I am, I often use the mobile app. I think the new version looks a bit more friendly. It has the same smaller photo in the middle of the bigger photo though. The larger photo does give you a better view than the tiny thumbnail. I wish I could tell you all about how the ipad app works, but unfortunately I do not own one. From what I saw and read, this app has had the biggest overhaul of all with more features that allow you to view photos easier. More photo-related apps like Instagram and Pinterest are gaining in popularity. Twitter and Facebook are trying to keep their sites more visual. Just like most people, I tend to fight change. I don’t feel like the new upgrades make a huge difference in Twitter, but I do find that photo within a photo a bit awkward. Want to have more influence on Twitter? A great way to have an impact on other users is to keep posting. Use keywords in your microblog just like on your website. Start by getting organized. Make sure you send your tweets multiple times every day. By sending unique tweets, you avoid being boring and redundant. There is someone I followed on Twitter who sent the exact same message every day, countless times each day. I would see it over and over. I don’t spend that much time using Twitter. While sending the same message a couple times a day might be effective, I think this person goes way overboard. Maybe it works for him, but I had to drop him because it felt too spammy for my liking. If you are a jeweler, for example, you might start off the day talking about the price of gold or silver. Later in the day, mention that you have watches on sale. There should be a lot of content on your page, so there is always something to tweet. Almost always include a link to your site, blog or Facebook page to get people to read the whole story. 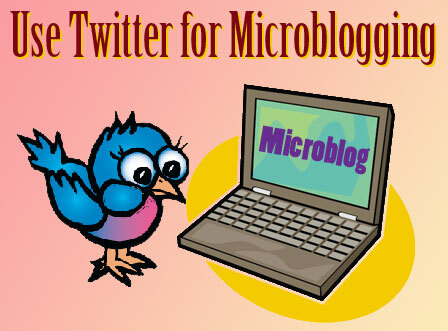 The tweet is just a snippet, that’s why it is called a microblog. If the web address is too long, it takes away from the characters you need for your message. 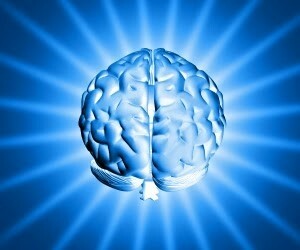 The remedy is a site that will create a shorter link for you, like tinyurl.com. Tinyurl.com even allows you to customize the link. If you don’t want to send people to your web page, try adding a photo and get attention with that. When using photos, post them on Pinterest or Instagram, and add hashtag keywords in your description. Always let people know who you are and what your message is. Always try to get at least one or two keywords into your tweet. Just like on your website or blog, keywords are truly key. Everyone wants people to click the link in their tweet. In order to do that, you need to attract people with keywords that explain what your business does. Your message, including keywords, should be a part of everything you do and everything you say – this is your brand. Make your tweets interesting and thought provoking. Then get to work. Tweet early and tweet often. While I’ve been an avid user of many social media sites, I only recently started using Instagram. As a rival to Pinterest, businesses can take advantage of this very visual medium to spread the word of their brand. Unlike Pinterest, users can edit their photos. Last night I went to a happy hour event to say goodbye to a friend who is moving out of town. It just so happened there was a big rally for the Ravens going on at the same time. 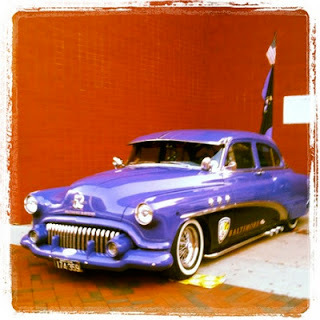 I snapped a photo of a car – Ravens purple – on display. Not bad, right? Because a picture is worth a thousand words, take advantage and start posting. Whether you have photos of people, movie stars, athletes, food pics, crafting projects, flowers or whatever – you can spread a message visually. Use this free service to grow your business. Think of all the images that define who you are and what you do. Then go take some pictures. Just about everyone has a camera on his/her phone. 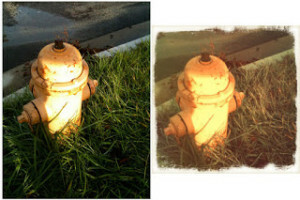 With Instagram, you can add a little flair to your pics and make them look old-timey or change the warmth of the photo. Essentially, you can make fairly awful pictures look pretty good – or at least make them look artsy! Instagram started gaining popularity as a business tool with chefs showing off their delicious food. If you have ever taken a photo of food, it generally looks terrible – unless you have professional equipment and great lighting. Using the various tools on Instagram, you can make your dinner plate look much more appetizing. Just like with Twitter and Pinterest, you can add hashtags to keywords in your descriptions. You should use descriptions of the photos when using Instagram for business purposes to help people find you when they search keywords or terms. WordPress and other websites have Instagram widgets that can add up to 20 photos onto your web page. This keeps your site ever-changing as you regularly update photos. We all know how much people love to see new content. It gives your clients a reason to keep checking back with your site or your Instagram page.